Maybe it's just me but sometimes I feel like simple recipes are the ones that I worry about screwing up the most. I mean... there is literally one thousand and one ways to make cauliflower mash, but if you add a little too much of this or not enough of that it could end up sucking and no one will want you to make them ever again. 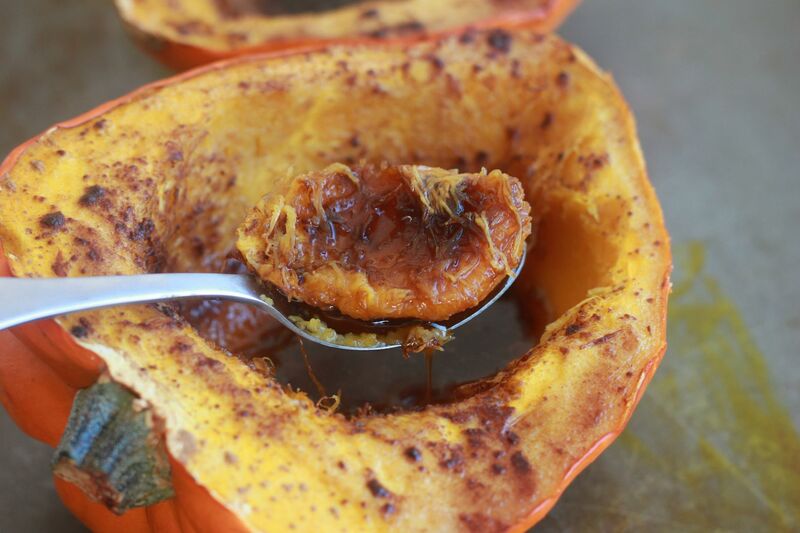 Acorn squash is one of those vegetables that if cooked just right with all the perfect flavors you will have yourself a beyond delicious treat that everyone will love again and again! I sound like a TV ad but just go with it. This is so so yummy. 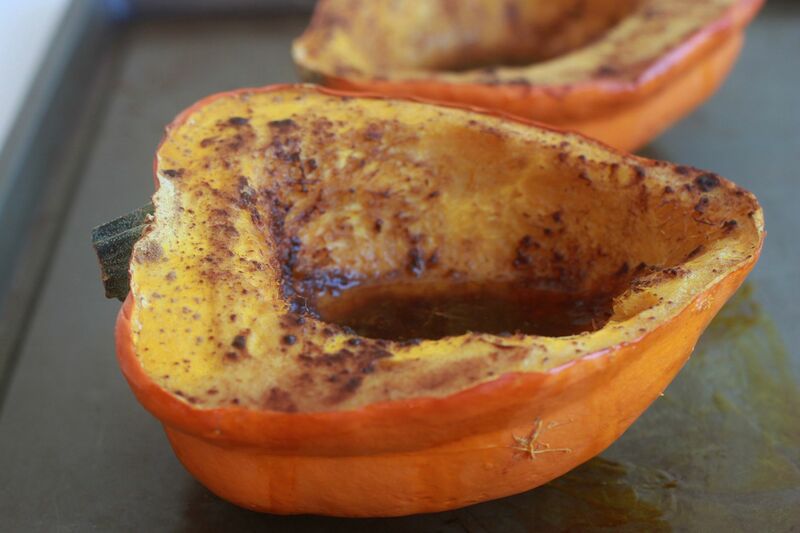 Cut your squash in half and remove all the seeds. Evenly spread one tbs of ghee onto each half. 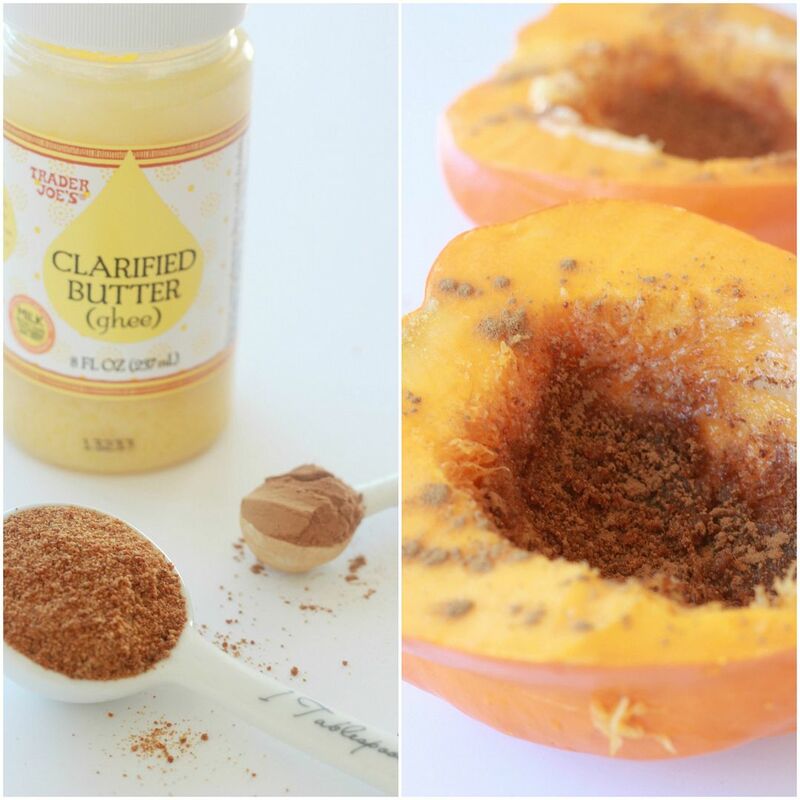 Add one tbs of coconut sugar to each half and sprinkle on the cinnamon. Place on a baking sheet and bake for 30 minutes. 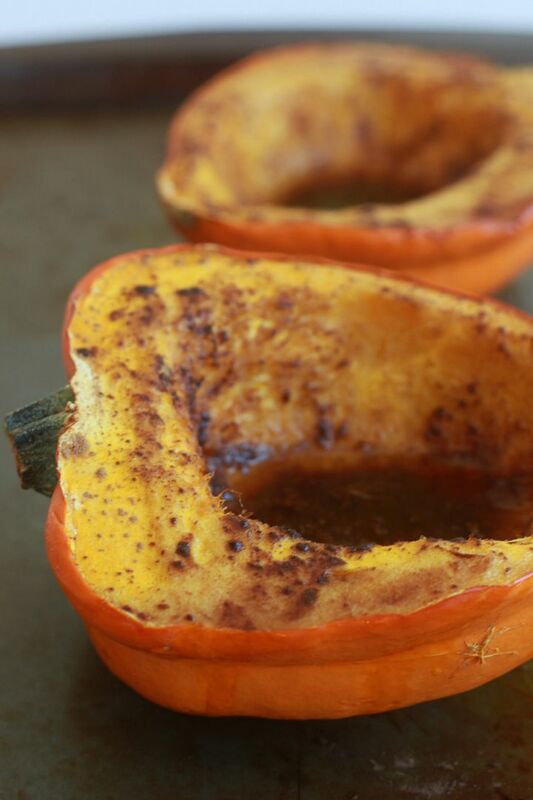 Your squash should be nice and soft once cooked. This is the most delicious treat! You can eat it as is (if you don't feel like sharing) or scoop it out and put it in a bowl. Make sure you drizzle all the yummy flavors left in the half on top! I love simple recipes like this! Will have to pick up an acorn squash next time I am at the store. what would you serve this with, for dinner? 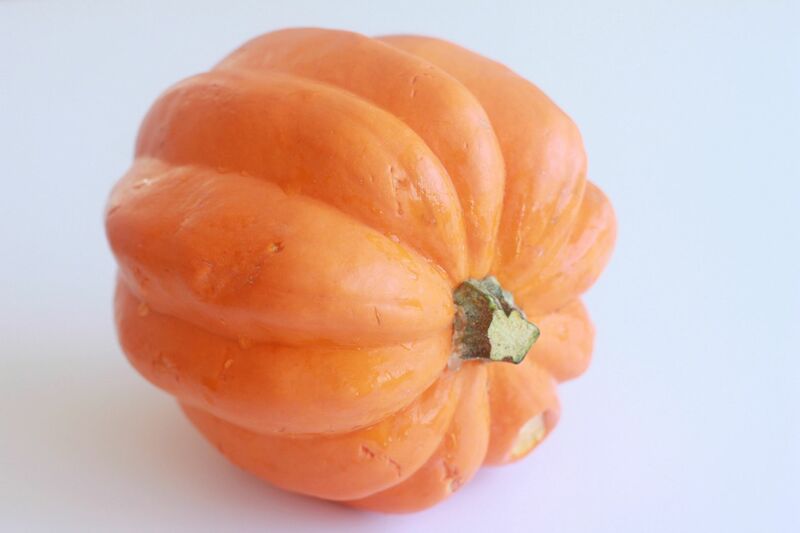 I've never tried an acorn squash believe it or not! Looks delicious...perfect for Thanksgiving too! I grew up eating squash like this and can't get enough to this day. If you're lookin' for a new way to work it into dinner, cook it exactly like you did, slice it or cube it, and toss it with some mixed greens, candied or plain nuts, and dried cranberries or fresh pomegranate seeds. Goat cheese or feta, or cheese in general, gets sprinkled on at our house. Then drizzle everyone with olive oil and balsamic. Bomb diggity dinner salad. This looks like such a quick yummy treat to make instead of baking cookies or other junk around the holidays! That looks delicious! I just had sweet potatoes with brown sugar tonight..perfect for this time of year! drooling. i was just searching my bff google for ways to roast pumpkin. Just noticed my previous comment is almost a year old now! I was finally able to find some nice acorn squashes and tried out this recipe yesterday. I think I may have done something wrong because it took way longer than 30 mins to cook! The parts that were cooked did taste good though :) I replaced coconut oil for the butter to make it vegan!